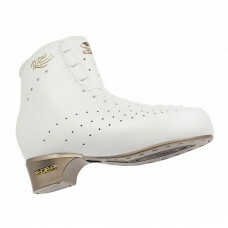 Boot Edea FlamencoLeather upperLowered profileColors: ivory, black satinSizes: 225, 230, 235, 2.. Boot Edea FlyIndex of rigidity 50100% transpiringLight and comfortingRapid drying LiningColors: blac.. Boot Edea Ritmo * * * *Leather upperSemi-Soft ConstructionColors ivory, blackSizes: 225, 230, 2..
Boots Edea Rondò * * *Stiffness index 35Leather uppersoft constructionAvailable sizes: 195, 200, 205..